One of the best things about go karting, apart from the massive adrenaline rush it gives you, is the fact that it’s an activity that can be enjoyed by a hugely diverse range of people. So, if you’re looking for a fun location to hold kids birthday parties, exhilarating team building events, a unique stag party, or action-packed hen party in Birmingham or the West Midlands region, you’ll find an amazing array of indoor and outdoor go karting tracks in our easy-to-use directory. Birmingham and the West Midlands are great locations for both first-timers and seasoned go kart enthusiasts thanks to their central location and great transport links. 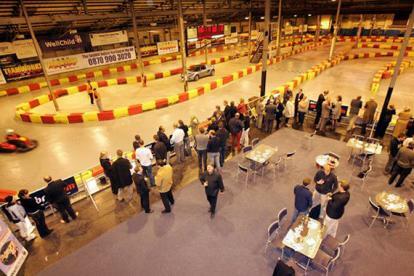 Here, you’ll find some of the UK’s top go kart tracks, like Grand Prix Karting in B8 and Teamsport in B69. Teamsport is an indoor venue, which makes it an excellent option for those of you looking to hit the track even in the coldest and wettest of months. It prides itself on offering multiple event types, ranging from arrive and drive, junior karting, and team building days, to kids birthday parties, and corporate karting events. Teamsport also welcomes stag party and hen party bookings. 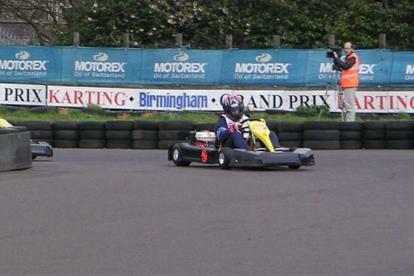 If you’d rather enjoy the sun on your face and the wind in your hair as you accelerate along the straights and speed round corners, outdoor karting tracks like Grand Prix Karting boasts Grand Prix, International, National, and Junior circuits at its outdoor motor sport centre, which is conveniently located just one mile from Birmingham City Centre. The centre caters for a broad range of events and special occasions, including junior karting, corporate karting events, arrive and drive sessions, and kids parties. Plenty of the venues in our directory also offer cadet karting, which allow youngsters to hone their driving skills via a series of tutored classes. So, if you’re looking for the ultimate birthday gift for your child, why not book them onto a cadet karting course today?